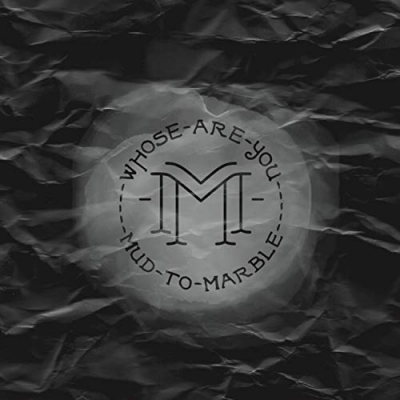 Worship group Mud to Marble, the songwriting project of Jimmy and Sarah Rietmeyer from Australia, have released their new EP 'Whose Are You'. The duo describe themselves as everyday Christians who love to Glorify God, by writing music which inspires people to sing, and live a life, All for Jesus. Read More Worship group Mud to Marble, the songwriting project of Jimmy and Sarah Rietmeyer from Australia, have released their new EP 'Whose Are You'. The duo describe themselves as everyday Christians who love to Glorify God, by writing music which inspires people to sing, and live a life, All for Jesus. Deeply in touch with the power of music to heal and inspire, these Victoria-based musicians have discovered that, through their art, they can make a difference in the lives of their fans. Their soulful style and powerful-yet-humble message bring out something special in the hearts of their listeners. In 2012, Jimmy and Sarah recorded their first track together, God of All, with producer and mentor David Atkins. God of All was created as an act of joy and reverence for the Creator; at that time the duo had an intention of starting a group and traveling around Victoria to perform treasured Christian classics at churches and festivals with their band of musos. After receiving such a positive response from their initial track, the couple decided to hone their craft and to take music more seriously. It was clear that they weren’t the only ones who appreciated their work. Together they studied as creative interns at their church and continued abroad as students at the Bethel School of Worship in Redding, California. After two years of developing their talents, Jimmy and Sarah decided that it was time to relaunch the Mud to Marble project. Ready to share their music with others, they were invited to lead worship at churches throughout Melbourne. The momentum was amazing, but life took precedence over art in 2015 when the couple were blessed with their first child, who required immense devotion and care. This put the touring days on hold for Jimmy and Sarah, but it didn’t stop their music. Jimmy Rietmeyer, who is the lead songwriter, describes Mud to Marble as a personal five-year journey of exploring his own identity in Christ. He believes that the reason their music strikes a chord with so many is that this journey is truly a universal one - it is the path that we all take in our own way. With an authentic message of hope for others, Jimmy and Sarah will continue weaving melodies into singable, soulful songs that bring light and warmth to all who listen.